Denny & Hoyts Add Bldg. Union View Condo 812 Bldg. Fremont is one of the most well-known neighborhoods within Seattle, and for a variety of reasons. 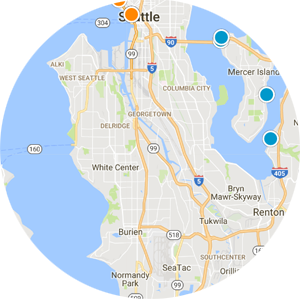 With a great location just to the north side of Lake Union, Fremont offers residents great proximity to everything that Seattle has to offer. However, it is the ‘counterculture’ scene that has made Fremont so notable throughout the Puget Sound region. Those who live in the neighborhood often take pride in being a little different, and signs toward that end can be found all around the area. 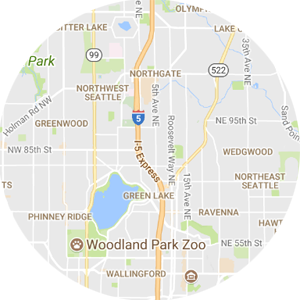 Purchasing real estate in Fremont is much like it is in the rest of Seattle. Searching the MLS listings for Fremont you will find a collection of both single family homes, condos & townhomes, with the average price landing right around $500,000. The prices of home listings in Fremont tend to fall in line with the going rates for the rest of the city as a whole. 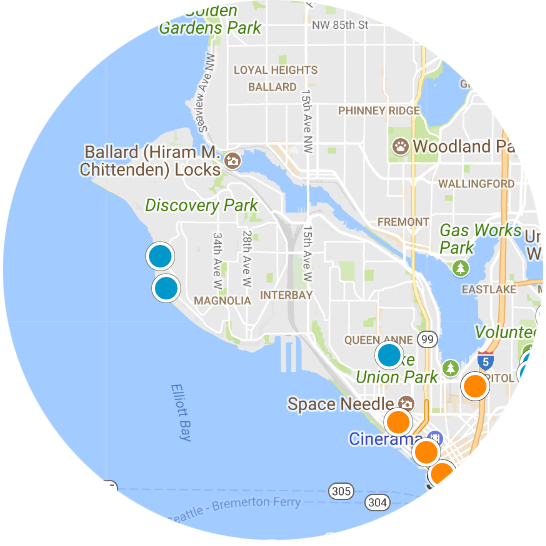 However, Fremont is a relatively small neighborhood with only slightly more than 10,000 residents, so inventory may be limited depending on market conditions. Any discussion of things to do and see in Fremont has to start with the famous Fremont Troll. Constructed in 1990 under the north end of the Aurora Bridge, the troll is a local icon and in many ways represents everything that Fremont stands for. Beyond the troll, there is an active art scene in the area, and community events can be found taking place throughout the year. In addition to that culture, there are also plenty of job opportunities in the neighborhood, with a handful of companies making their offices within the district. In recent years, brewing has also become a popular business venture within Fremont. Buyers looking for homes for sale in Seattle should consider Fremont if they are drawn to the interesting culture and art scene that the neighborhood has to offer. 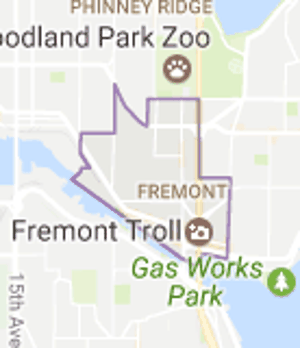 Beyond that, Fremont is an attractive place to live because of the proximity to many companies, including those making their headquarters right within the neighborhood itself. Click here to view a Live Real Estate Market Report For Fremont.